In the July/August issue the Cessna Owners Association magazine called this aircraft the world's best TR182! With the cover photo, eight other photos and a nine page write-up the magazine followed the immaculate restoration and modernization process. The total cost to the owner to create this masterpiece was $397,350! You can have it for half that! The aircraft is not for your bargain basement shopper looking for cheap transportation. It is the finest example of a TR182 in existence, lovingly restored to better than factory-new condition. 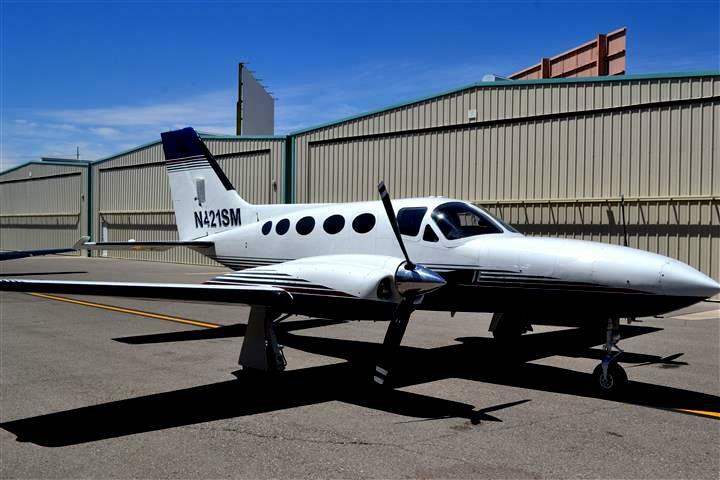 This aircraft will provide unparalled comfort and reliability and safety to its proud new owner. You must see this aircraft in person to appreciate it! Very low time airframe, engine and prop. Spectacular cosmetics. Absolute attention to detail. No damage history ever. All logbooks and maintenance records. Absolutely no corrosion--in fact the interior compartments are semi-mirror like. All new glass (Golden Brown) installed when aircraft was painted. Micro Vortex Generators added for lift and stability. Aux fuel (112 gallons) makes for super long range flying or fuel tankering capability. All mechanical issues have been addressed during the refurbishment. The landing gear was totally rebuilt with new hydraulics including pumps, valves, cylinders and motor. The avionics stack is sports terrain awareness (TAWS), Chart View, RYAN TCAD 9900B traffic, MX20 MFD, SL30, SL70, GX60 GPS, Jeppesen Chart Select and Ground View. Total cost: $46,000. The entire six-pack wiring was replaced 100%. Entire panel including a unique F15 timing device, suction gauge, amp gauge, O2 gauge, etc. Total cost: $7,900. When the engine was installed the entine compartment was detailed extensively. The firewall was polished to a chrome like finish. The engine has all available chrome accessories. All engine components including exhaust, oilamatic, turbo, wastegate, vacuum pump with backup, fuel pump, mags, alternator and every wire coming through the firewall is new or factory reman. The engine is a Lycoming O-540-L3C5D S/N RL-24798-40A. Total cost: $43,500. At the same time the aircraft was fitted with a new McCauley 3-blade propeller, porcelaine refaced at American Propeller Company and STC'd chrome spinner. Total cost: $14,800. The aircraft was stripped, thoroughly prepped and painted by Master Aircraft Services using a Craig Barnett Scheme Designers pattern. Craig personally oversaw the entire process, making sure of every detail in the creation of this Oshkosh show piece. Total cost: $29,000. New STec 30 autopilot with GPSS Steering yoke-controlled. Shadin fuel computer system, 6-vent cooling system throughout the panel. Additional power-pak accessory radio, under-glareshield lighting, all instruments fitted with new post lighting, PAI 700 vertical card compass, new O2 bottle. Total cost: $29,000. The shoulder harness and seat belt system is a new design free moving system that fits over both shoulders. Tim Hallock of Aviation Design personally created and installed the exquisite leather interior. The plane was totally gutted and thoroughly checked for corrosion. None was found. The plane was completely alodined inside prior to fitting the newest high-tech sound proofing available--factory custom cut for this airplane. The new design is done in Townsend Leater Executive Jet. It has airliner type air vents, new style interior lighting, new design precise pilot and co-pilot air vents. Total cost: $32,000.